In a recently posted article, we covered the six millenniums of Genesis’ creation account from the perspective of the beginning of the Holocene (“wholly new” era) and newly arriving Mesolithic communities to an innovative people beginning with the lives of Adam and Eve (created in God’s image). There, New Genesis Theory’s claims met contemporary scientific conclusions that the Old Stone Age of Paleolithic people ended around 10000 BC (12,000 ka). 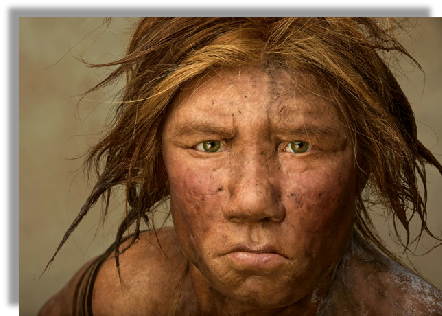 Then, with the Mesolithic people of the Middle Stone Age, the famed Agricultural Revolution began c. 8000 BC (correlating with Scripture’s Creation Day 3), ushering in the New Stone Age of Neolithic communities. The beginning of Sumerian city-state civilization came with an explosion of literacy after Adam and Eve c. 4000 BC (via Adam commissioned to name animals in which God caused to migrate to the paradise region). This encouraged economic trade within the Mesopotamian (“two rivers”) region. Although rudimentary forms of Near-and Middle East civilization existed before Sumerian city-state civilization (e.g., at Jericho), the so-called Natufians seem, for the most part, to have lived crude lives as nomadic communities of warring hunters. They had only just begun supplementing their hunts by harvesting wild grains where available, also gaining some foods resources from early animal domestication. Thus, I made a case that the six millennial days of Genesis’ creation are actually a restoration period that fit this post-glacial timeframe of development (12,000 ka – 6,000 ka) that lead to God’s new work in the enlightened lives of Adam and Eve (which also began Christ’s redemptive line). Moses, according to Jewish traditional beliefs, wrote the original Torah scrolls which included the creation passage from Book of Genesis, and Moses was the first biblical patriarch to provide the scriptural key of 1 day to God paralleling 1,000 years to mankind (see Prayer of Moses, Ps. 90). Hence, other peoples existed, but Adam and Eve were God’s chosen matriarch and patriarch of the Cradle of Civilization, and for six prior millennial days He cultivated the southern Mesopotamian region for their garden paradise. Hence, Chapter 1 of Genesis is directly related to Adam and Eve’s early life in the second chapter. These 6,000 years were covered in NGT, and the exegesis was centered on the once-bountiful region of merging Tigris, Euphrates, Gihon, and Pishon rivers in southwest Asia, which was an exciting period for the subsequent development of human inventiveness, knowledge, and new cultural innovations. While many historians, archaeologists, and scientists of various disciplines disagree on what most spurned these major developments- be they postulate that it resulted from agricultural knowledge, religion, literacy, etc.- believers in the Bible should have confidence in the book by the fact that the Genesis account lists these factors for the correct time and region: where and when Adam and Eve lived. Although I make no infallibility claim in my articles, nor do I assert that my scientific knowledge and biblical correlations of the creation account are in perfect agreement, I do posit (without any reservations) that under the NGT model all relevant facts can be perfectly correlated in its timely framework of restoration days, and that God has left us enough convincing information in Genesis to do so. The nomadic hunters of pre-Adamic times also serve as a pattern of the wandering Abrahamic people of God journeying until they entered the Promised Land, meaning that Adam and Eve foreshadowed the children of Israel who finally settled in a new version of paradise. Israel was offered a paradise rest (Sabbath) with God, in a land “flowing with milk and honey.” Both Adam and Eve and the children of Israel were called to trust the Word of God and to have no gods before Him. Both chose their own knowledge of good and evil and rebelled, and both were cast out. Nonetheless, a promise was left that God would bring back His people, and that the Holy Land would become as the Garden of Eden at a future time: the Great Sabbath. This theme of six days until the elect of God enter the Sabbath ripples through time for the whole family of God, that we have an opportunity to enter it with the Messiah, as recorded in the Book of Hebrews. As the Lord was in the garden with Adam and Eve, so will He be with His elect in a restored paradise. Thus, the six millenniums leading to Adam and Eve (i.e., the Holocene restoration after the Younger Dryas) should mirror God’s latter works in the six millenniums leading to the Great Sabbath of the Messiah. To verify this assertion, we must now look beyond prehistoric times for another theory of Genesis that reflects our age. Things will get much more interesting as we investigate this pattern and find that the Genesis creation account is still relevant. In the previous Genesis article, we gave secular naturalists many reasons to trust the Genesis account of the Divine workweek, much like a first half of a millennial twelve-step program (twelve days of Divine works). But in this article, the other half of the twelve great days will be expounded upon to cover highlights of millennial, biblical history from Adam rather than before him in proto-history. This theory covers the duration of time starting with their life in southern Mesopotamia and ending this current era, which is complete at the great rest day of the Messiah King. Here we will look at the symbolism of the creation days as prophetic revelations, which is nothing new to Jewish traditional beliefs nor the speculations of early Christianity. Judeo-Christian theologians and exegetes may not have discerned that the six days of creation are indeed millenniums, but they knew that the six creation days were a sign to Israel for the paradise to come after six millenniums. Unlike the previous article, which tends to correlate Genesis with relevant research data for a certain time and region, this article will provide a much-needed break for spiritual readers who understand geo-prophetic times. For those who are familiar with biblical history and symbolism, it will make much sense, but for strictly scientifically minded readers, it may indeed prove difficult to trust or even comprehend, simply because the language of biblical symbolism and prophetic similitudes will seem nonsensical, much like gibberish or mystical speculations, elusive as dreams. 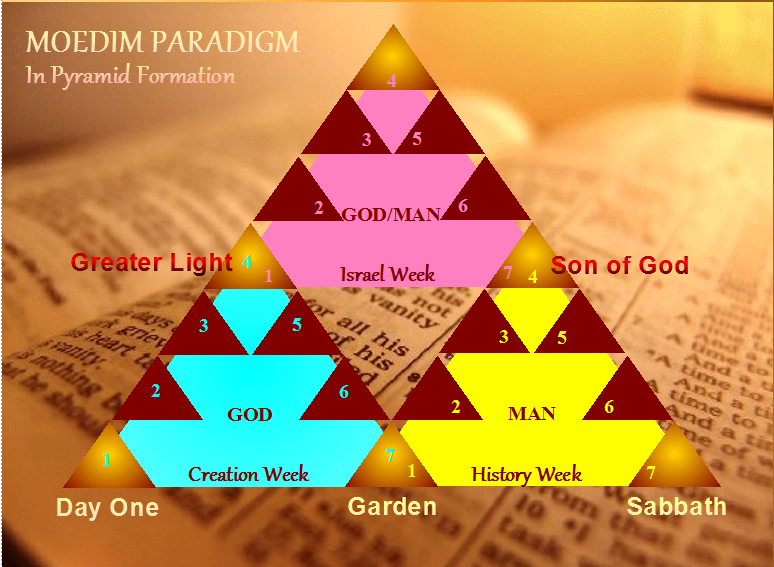 Nevertheless, both halves of the twelve millennial steps leading to the Great Sabbath must be explored and explained before ATLAS Theory of an ancient Genesis creation can ripple out from the foundational sequence of the Moedim Paradigm. I am not postulating that secular naturalists are generally ignorant, but when it comes to spiritual things and biblical reasoning, they have long ignored Scriptures. Their not being rooted and grounded in the Word of God will leave them at a distinct disadvantage, as should be expected when anyone skips the basics of any field of research. Yet, all who learn of scriptural symbolism will find that this exegesis of a prophetic Genesis creation is indeed plain and true. With the pinnacle events of the first four, millennial days, we need only go back to Genesis and compare them with the spiritual symbolism of the first four days of the creation account. Further, we can follow this pattern for the fifth and sixth days to end the millennial workweek. God’s works ripple from elect couple, elect family, elect tribes, elect nation, and, on the fifth day, to the elect of the entire world. Thus, in the fifth day we must conclude that something about the seas being filled with abundant life should parallel (in biblical symbolism) the Gospel of God going out into the entire world- globally. Finally, at the close of the sixth millennial day, the elect of Heaven and Earth must come together for a return to paradise, with believers conformed to the image of God through Christ, separated as a holy people even as Adam and Eve were. These historical highlights do not diminish all the heroes of Scripture and the other great events of biblical and secular history, but choosing the most famed accounts of Scripture are necessary for readers to better comprehend God’s plan for humanity and His Great Mystery. Above are the first four of seven pillars in the Temple of Wisdom, concerning God’s work in building a House of Civilization for humankind (see Prov. 9:1-6). So to begin, our attention should now be drawn to the first biblical millennium, with the highlight of Adam and Eve being made in the image of God- with His Spirit breathed in them and their enlightenment. What we should find is God separating Adam from the world, or bringing him into the Garden of Eden to dwell in His sight- a new kind of mankind. First Millennial Day from Adam: In the beginning God created the heavens (spiritual ones) and earth (natural man). And the earth (mankind) was without form (uncultured) and empty (void of understanding), and darkness (ignorance) was upon the face of the deep (surface of his soul). 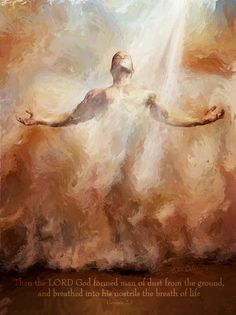 And the Spirit (breath) of God was moving gently upon the waters (upon the souls); then God said, “Let there be light,” and light (enlightenment) was. And God saw the light (enlightenment) – that it was good- and God divided the light (enlightened) from the darkness (ignorant). God called the light (enlightenment) “Day,” and the darkness (ignorance) He called “Night.” And evening was (path of ignorance existed) and morning was (path of enlightenment existed): Day One. 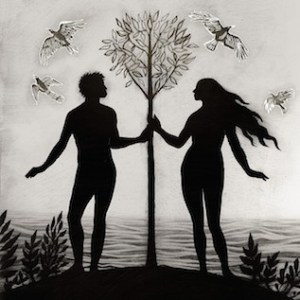 What we find in the first millennial day, beginning with Adam and Eve, was enlightenment for early civilization, for in God’s works the light of understanding overcomes the darkness of ignorance, just as evening precedes morning. (See Gen. 1:1-5.) This is why it is written that “In the beginning was the Word,” for all things were made by God with the Great Light of understanding, and the Light is the life and “the light of humankind.” That Light was later manifested in the flesh to all Israel through the works of Yeshua HaMashiach, who is called “The Word of God” (a.k.a. Jesus Christ). Hence, what we find is that Adam and Eve were created in the image of our God the Spirit, and the Lord walked with them, enlightening them. Just as half of the sphere turns to darkness as the other turns to light, so would those made into the image of God have enlightenment, with liberty to turn to darkness as the world turns in our historical plight. What we find during the first millennial day from Adam is that God made earthly man into His image, breathing on the dark waters of his soul and granting him light for understanding. When Christ said, “I am the Light of the world; he who follows me shall not walk in darkness, but shall possess the light of life,” He spoke of spiritual sight. For those who know Scriptures and understand that I, the scribe, have not taken great liberties in offering mirroring terms, the first day of Genesis should be perceived to parallel the first millennial highlight of our workweek. The correlations of light to understanding, earth to man, Spirit to breath and wind, darkness to evil and ignorance, and other such things can be found woven throughout the Scriptures. Readers are encouraged to research further to test these assertions, to know that the symbolism does not originate with my work or personal wishes. A few symbols within this theory of Genesis may have counterparts that are not easily found in Scripture, and thus readers will at times have to form their own conclusions over the validity of asserted synonyms. The idea of the first day is that the light of understanding came to earthly man for a new work of God. Adam means “man” in Hebrew, but more literally means “ruddy earth,” thus allowing us to perceive how the first day of Genesis works mirror the works done to enlighten and mold humankind. Adam was the earth that God worked with and separated unto Himself in paradise. Second Millennial Day from Adam: And God said, “Let there be an expanse (ark of Noah) in the midst of the waters, and let it begin dividing between waters (souls of people) and the waters (souls).” And God made the expanse (ark), and He separated between waters (souls) which were under the expanse (ark) and the waters (souls) which were above (on top of) the expanse (ark), and it was so. And God called the expanse (ark) “Heavens.” And evening was (path of ignorance existed), and morning was (path of enlightenment existed): Day Two. What we perceive here is that the ark separated those who were saved above and those left to drown below. It can also be perceived that the ark was in the midst of the waters coming down from above and rising below. Further, we also perceive that God likened the salvation of those who entered the ark with Noah to a much greater salvation to come, and for this reason, among several others, the expanse was called “Heavens.” In another article, in Noah’s Ark Parable, I explain how the flood account foreshadows a much greater heavenly salvation, when the believing and faithful are divided by the waters of the Word from the carnal world (Hint: “as in the days of Noah”). It is not necessary to delve into the entire story of Noah’s Ark here, or to explain how it correlates to the coming Apocalypse, but only to take the brief summary of the second Genesis day and show that it easily fits the highlight event of the second millennial day from Adam. Nor do I think it is necessary to justify that Adam and Eve were the highlight of the first day, and Noah and the flood were the highlight of the second; these things are self-evident to those who know their Bibles. One thing, however, should be noted before moving on. Scholars have often speculated why it is that for the second day of creation God did not look back upon it and say it was “good,” whereas on the others He did. The reason is that God thinks on multiple levels when coordinating His words and works. The second day, besides being natural, witnesses to a time when God had relented making humans because of their extreme violence and continuously evil thoughts. It was not “good” to have to send a flood or that people had become so evil. And while evil happens in every generation, a flood of biblical proportions obviously does not. Third Millennial Day from Adam: And God said, “Let there be gathered the waters (souls or people) under the heavens (Spirit) to one place (region), and let the dry land appear,” and it was so. With the seven days becoming progressively more descriptive in the Genesis account, it benefits readers for me to divide the passages and explain corresponding symbolism. Day Three relates to God’s work of gathering Israel; guiding them by a heavenly fire by night and cloud by day; leading them through the Reed Sea; through a nomadic journey of forty years in the wilderness; and finally leading them to the Promised Land. God then divided the Jordan River for them to cross on dry land. Just as Scripture places much more emphasis on events of the third millennial day with Moses, so does the Genesis creation have much more symbolism to sort through on the third day for a prophetic interpretation. In Genesis, when God gathered waters under the heavens to one place, it means that His Spirit would watch over them in the Exodus out of Egypt. Just as Moses was given a Divine revelation of the Promised Land, which he shared while gathering Israel, God gave a command to “let appear dry land.” This journey from Egypt to Israel fulfilled a promise from God that went back to the days of the patriarch Abraham. A special place was envisioned as they were separated from the world by God. 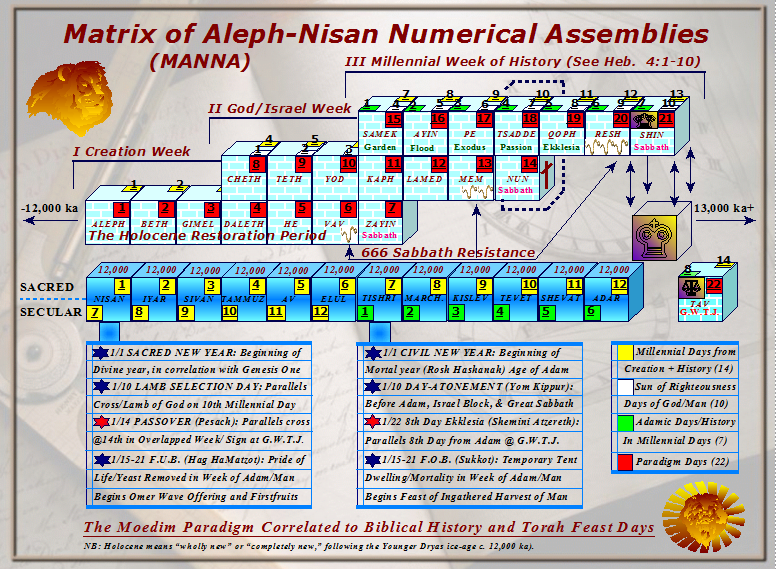 So Abraham is the father of Israel, and he was born 1,948 years after Adam, which was a sign of things to come for the new nation, which was recognized on May 14, 1948 A.D. God changed Abram’s name because he would be a “father of many nations” through the blessings of Jesus Christ- Yeshua HaMashiach. However, the people of Abraham would not be settled as a nation until their number had exponentially increased, when Moses led them out of Egypt. So Abram came out of Chaldean land (Babylon) with his family under God’s command which foreshadows the latter works of the Israelite Exodus, and it foretells the gathering of the elect in these last days of the age. Getting back to Genesis’ creation, God called the dry land “earth,” which has also come to symbolize earthly or natural Israel in prophecy, and the gathering together of waters or souls he called “seas,” which in prophecy is likened to the nations of the world. Scribes would often call peoples the “nations of the seas” or the “isles of the Gentiles.” When Jews say, “Goyim” for Gentiles, they are applying a shortened version of what prophets and scribes once called “the nations of the seas.” So when God gathered the souls (waters) to a certain place, and commanded that dry land appear, He was also speaking in symbolism of gathering Israel as a nation, taken from Gentiles, to the Promised Land. And when He did, He saw that it was good. So Israel can be called “earth” just as the natural man can be, for as a nation Israel was God’s “firstborn son,” and a natural one of the Law. So we find that God making dry land appear is a sign of Israel being called unto a specified place. It is perceivable here that God mirrored the “seed of Abraham,” which He repeatedly promised would multiply in the chosen land of Canaan to become a righteous nation. The teachers would be after Abraham’s kind, based upon faith, obedient to the Lord. Thus, we find that the terms God used for the third millennial day fit nicely with the works he later accomplished in the land of Israel. Moreover, God kept His promises in the third millennial day. The earthly people would progress spiritually, like tender sprouts growing out of earth, from the spiritual seeds of the Kingdom of Heaven to trees of righteousness reaching up for the heavens above. Multiplying them like sands of the seas and the stars of the heavens, God had a plan that He would keep despite their many rebellions. When the planting of God is fully matured, the Kingdom of Heaven will be manifest on Earth at Israel, with the Great King and His gathered people. So, what we find are spiritual clues that point to the Greater Light feeding Israel, and that God has a people that He has determined to raise up much like a tender plant from humble beginnings. The “branch” of Isaiah represents the nation of Israel, whereas in most Scriptures it relates to the coming Messiah- the Branch of King David. Just as the Babylonian Empire under King Nebuchadnezzar was spiritually perceived as a refuge for peoples, like birds in a tree, so is the Kingdom that God will make of Israel (cf. Dan. 4:11-12; 20-22). The point to be discerned here is that the work of God’s hands in growing Israel can be compared to the work of the Lord bringing forth sprouts, herbs, and trees in the beginning. As He made a garden for Adam and Eve, He prepared a place for the children of Israel. We must only follow the prophetic clues. 1 becomes 1,000, and in seven millennial days the citizenry Bride of the Lord will be complete. Now I will plainly reiterate: God called all the souls of Israel together to one place as a nation and commanded that dry land appear for them, which is the Promised Land. 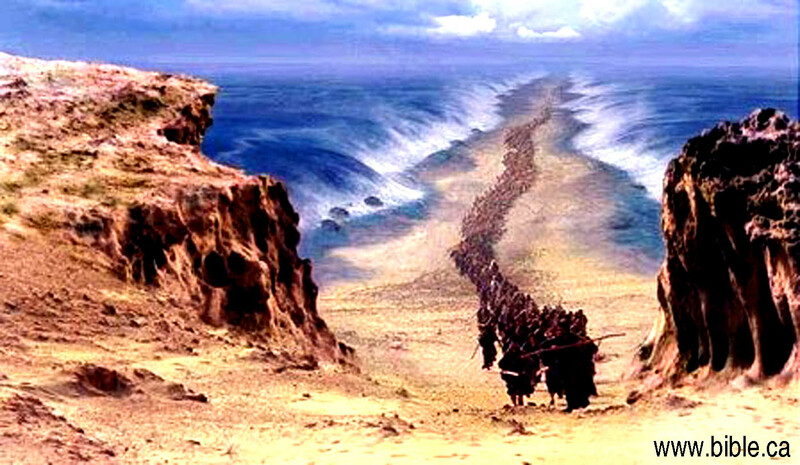 In taking the land promised to Abraham from the Canaanites and other Gentiles of the region, God first gave signs by dividing the Red Sea and Jordan River for them to cross over on dry land. In other words, He would divide the nations/souls in the Promised Land and make room for them. And there they grew as God’s tender plants and will become the Kingdom of Heaven. Like the Tree of Life, they, too, will become trees of righteousness and teachers of His truths. But before that day comes, every tree that does not bare good fruit will be cut down and cast into the fires, for paradise shall indeed be purged by the fiery Spirit. This division is repeated with Israel coming out of Egypt and later Babylon. Even in recent history God, by His Spirit, called Jews out of the nations and separated them in Israel. The theme of dividing or separating the chosen is interwoven throughout Scripture, carrying through to New Covenant Christians not being “unequally yoked with unbelievers” and even into the Apocalypse, where God says, “Come out of her, My people.” (See Rev. 18:4.) Moreover, the reason why there are so many separations or divisions in the creation account is because the account is, among other things, a spiritual summary of God’s works with the elect throughout history. In the fourth millennium the luminaries were prophets who would “be for signs, and for seasons, and for days, and for years.” In several passages the children of Israel are called “stars,” but the prophets, and in some cases scribes and priests, gave revelations from spiritual heaven. They announced the times and years of judgments and reconciliations, with all the Divine signs/omens accompanying them. The priests were specifically concerned with the seasons, for they directly taught the agricultural Law given to Moses. The Old Covenant, which is enlightening, is a religion of appointed times (moedim) and agricultural seasons for the holy days. So just as the prophets shared revelations, the light of the Law was shared by the Levitical priests. They were placed in the firmament of heaven “to give light upon the earth.” In other words, they would enlighten Israel and eventually the world. The fourth millennium from Adam was the age of the prophets, from which we have received most of the biblical books. Prophets lived before them, but all the “major” and “minor” prophets of the canonized books came during this day. These prophets specifically gave signs to Israel. As the Messiah said via Isaiah, “Bind up the testimony, seal the law among my disciples,” and then went on to say, “We are for signs and wonders in Israel.” (See Isa. 8:16, 18.) So the prophets and sages were luminaries who gave the light of understanding and signs of the times. One would need to go down a Bible concordance to correlate all the Scriptures that speak of signs and lights from the enlightened people of God. As said by the psalmist, “Your Word is a lamp for my feet and a light for my path,” which spoke of God teaching through His Word. There were many prophets during the fourth day from Adam, but Genesis emphasizes “two great lights.” The greater of the two would rule the children of day, and the lesser would rule over children of night. The Great Light is of course the Sun of Righteousness, which we know as Jesus Christ and Yeshua HaMashiach, and the lesser light merely reflects God’s judgments because of darkness and evil- the “Adversary” of humankind. As written by Paul, “Satan transforms himself into an angel of light,” although we know that the moon has no light of his own. But, just as God allows the Sun of Righteousness to shine on the wicked and the just, so shines the moon of judgments on the righteous and the wicked. Together they would divide the light from the darkness and good from evil. Messiah Yeshua clearly stated that He was the “Light of the World,” and someone else wrote, “What fellowship has the light with darkness?” So, to sum these things up, those with understanding will shine like the stars and instruct people (cf. Dan. 11:33-34; 12:3), but the children of the night will be caught as if by a thief, not understanding the times (12:8-10). 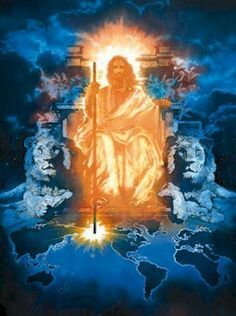 The Son of God was sent down from Heaven, born in the land of the Hebrews on the close of the fourth millennial day, and He came as the true primal Light of God. But many of the people followed a lesser light of judgments, which was paler for those dwelling in spiritual darkness. 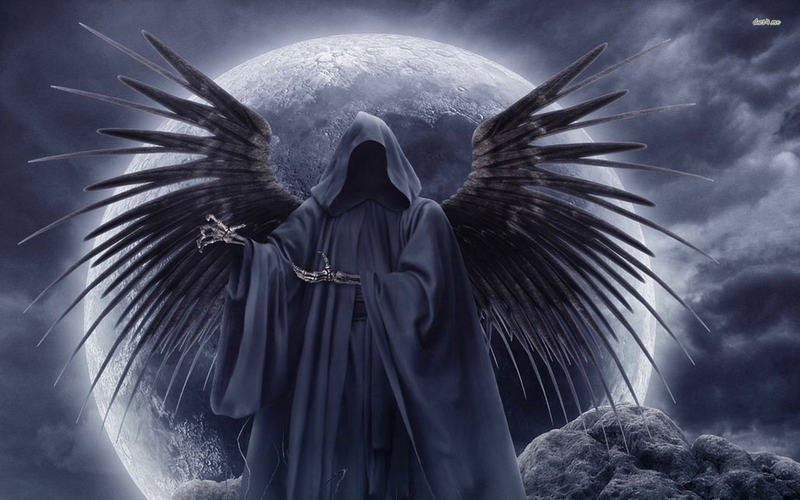 The spirit of Lucifer entered the Son of Perdition as he betrayed Messiah to judgment (cf. John 13:27; 17:12). They had walked together and were like the sun and the moon. They broke bread together. They dipped Christ’s symbolic body together, at the same time- One for the love of God and the other for the love of money. The latter bore the Sun of Righteousness, shining in His light, yet his thoughts ran to and from Earth and were not centered upon the Light whom he reflected- no more than the moon orbits the sun more than it does the Earth. And to the untrained eye, they appeared the exact same size in the dry Judean sky, whereas the jealous moon sometimes manages to eclipses the Light of Life. Nevertheless, all this was according to the greater will and works of God, that He would give His life for the spiritual salvation of the people, even as the sun gives its energy to sustain our physical lives and all life on Earth. And for this reason the Greater Light and lesser light were placed in the midst of the expanse of heaven on the 4th day of creation, offering us a much greater enlightenment than what is seen by mortal eyes- lit only by natural light. Judaism was essentially a small, national religion for Jews and converts of Judaism until the world became enlightened to the ancient faith via the Gospel. So creatures with the Spirit of life filling the seas and soaring in the midst of the heavens symbolize the spread of the Gospel to the world. The unique Hebrew wording for the fifth day is most interesting, even before spiritual interpretation. The word panim (or paniyam), which is translated “open” in the KJV and “face” in some other translations (e.g., NKJV), literally means a “turning-face.” This is in the sense of becoming prominently known or open to recognition. This word for part of the face turning to be known is associated with paniyn, which means a “pearl” and “roundness.” Interestingly, that “face” or “surface” is best illustrated by a rotating globe or planet turning its face toward the sun and becoming radiantly seen and known. So if we can picture a cloudy pearl turning, we can picture the rotating world facing the sunlight. So the face of the planet is Israel, and the world is being enlightened by the Sun of Righteousness to the features of Israel, as the world turns. Indeed, I find this a beautiful mystery in Genesis- flying ones migrating around the world, becoming known in the Sun of Righteousness. Birds, which are symbols of spiritual beings- as the Spirit descending on Messiah like a dove- indicate that like spiritual creatures would spread around the globe and become prominently known. So we see that the “expanse” of the heavens entails a turning face, and the passage includes transcending creatures that were commanded to go forth. This correlates to the Messiah comparing the Kingdom of Heaven to a valuable “pearl” and a treasure hidden in the earth. Spiritual things would become openly known to the world. New Jerusalem is the pearly face of the world that will turn back to the Sun of Righteousness, and all will be enlightened to this because the Gospel of Kingdom has been sent into the world. When we read repent in Scriptures, in Hebrew it means to turn back around. And phrases like “turn your face to” mean we must direct our attention towards something. Israel is an earthly language with physical idioms, where phrases like “set your eyes on” are usually not literal. “Set your eyes on” simply means to watch something closely. Creatures flying above the “turning face of the expanse of the heavens” allude to a world turning from darkness for enlightenment by the dawning sun. Spiritual people soar above earthly or carnal people, and like many birds they have better vision for seeing far into the distance- the prophesied future. We might ponder these things spiritually and conclude that the nations of the seas would bring forth abundantly the people who are moved by the Spirit and have life in Christ, who soar above earthly things, spreading all over the globe. This means that many people of the fifth millennial day were spiritually-minded after the sacrifice of Christ, when the Holy Spirit came to them on Pentecost (Shavuot). So God blessed them to multiply just as He did their foreshadowing similitude of the 5th day of the Genesis creation. What the above passage means is that when the Temple of God is rebuilt during the Great Sabbath, spiritual truths will be confessed by new geographical features, such as healing fresh water that goes down to the Dead Sea and fills it with life- life like the Great Sea of the Gentiles. 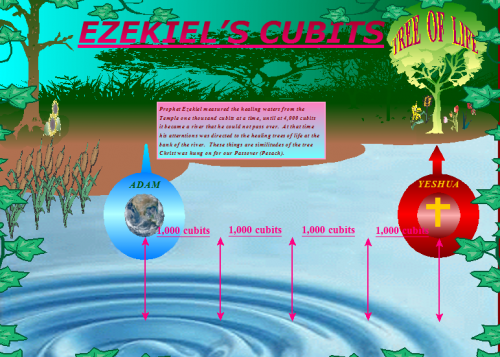 So, just as Israel had to throw the tree into the bitter water to heal it for their refreshing and salvation, so, too, must they soon see the works of Christ, measuring 4,000 cubits as did the prophet Ezekiel, and they, too, will be fishers of God. What their fishing from En Gedi to En Eglaim means is that a fountain of salvation is opened at the sacrifice. It extends to a fountain of two calves, which means two peoples joined together. These prophecies are peculiar when one does not know biblical symbolism, but with comprehension of them, it becomes clear that the fountains are of the living waters that spring up to everlasting life. Jews have endured sacrifices like En Gedi, like a scapegoat of the nations. The scapegoats of old were often chased out of the land into the wilderness, sometimes over cliffs by the people. En Eglaim, on the other hand, represents the northern nation of Israel, which was scattered over the world by the Assyrians. A fountain for “two calves” relates to the northern nation of Israel because they made two calves for their gods in Samaria, before the Lord chased them out of the land. So, what I am getting at is that God will heal both houses of the Hebrew people, filling them with abundant life. The Dead Sea of Israel will be like the seas of the Gentiles when the water from God flows. They need only measure 4,000 cubits and realize that they cannot pass over the waters of the Word, but must look back at the healing tree. They must cast the tree of sacrifice into the bitter legal waters of the Word, to make it refreshed for the coming Great Sabbath. Christ sent out a small band of Jewish apostles, mostly fishermen, to preach the Gospel to the world- to be “fishers of men.” They would take it to the nations of the seas and multiply the faith throughput the nations. 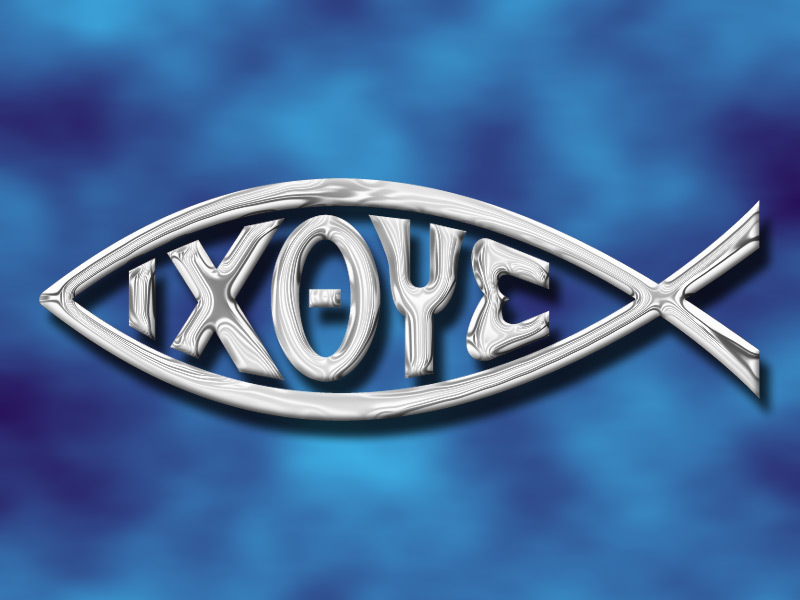 Early Christianity was represented by a fish symbol, and it is still seen today on pamphlets and bumper stickers, etc. 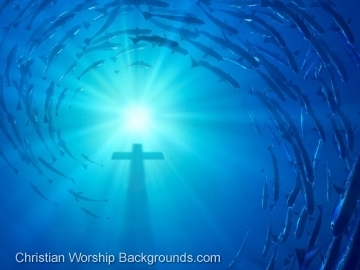 But the question of “why” Christ likened people to fish, and 1st century Christians first embraced the fish symbol, may not be as well-known, if it is. As already mentioned in this work, water is not only synonymous with souls and nations of the seas, but it also symbolizes the Word of God spreading to souls in the nations of the seas. So fish are synonymous with people who peruse the waters of the Word and swim the depths of Divine truths, just as we today compare lack of insight to shallow waters and intellectual depth to deep waters. The first Christians were devout Jews who already believed the Scriptures, and the apostles could easily catch them, so-to-speak, by pointing them to the prophecies that Christ fulfilled. God blessed them to multiply their numbers like the sea creatures of the fifth creation day (Acts 6:1, 7), and the Word of God multiplied with them (12:24). What began in the land of Israel spread to Egypt, Italy, Greece, and around the world (see Col. 6). The highlight of the fifth millennium from Adam is the Word of God going forth to the Isle of the Gentiles, to grant abundant life. So the question for Jews who will not believe that the Gospel is from God, is: Has Judaism spread around the world as a biblical faith to the Gentiles, as waters of the seas? Has it fulfilled the ancient prophecy? If Christianity is considered fallacy, and it has in almost two thousand years of history spread knowledge of Scripture around the world, truly Judaism has much converting to do (in much less time) to catch-up with the Christian fallacy and claim fulfillment of the prophecies. The truth remains that the world does not know about Adam, Noah, Moses, and all the things of the Law and Prophets via rabbinical Judaism, which has remained nationalistic, exclusionary, and largely insolent towards the Gentiles. This knowledge came by Christians spreading the Word. Alleging that Christianity is of Satan rather than of God begs the question of why Satan would want Christians to study and share the Hebrew holy books of Scripture with the nations. In war, leaders do not help spread their enemys’ propaganda; rather, they seek to destroy their communications and isolate that which they seek to defeat. Sixth Millennial Day from Adam: And God said, “Let the earth bring forward the soul living after its sort: cattle and creepers and its beasts of the earth after its sort,” and it was so. And God made the beasts of the earth after its sort and the cattle after its sort, and all creepers of the ground after their sort. And God saw that it was good. What this means in biblical symbolism is that humankind (earth) will bring forth, or bring to the forefront, peoples and nations of carnal, earthly natures, according to their souls. During the end of the sixth millennial day, their likenesses are brought to the geopolitical forefront in the coming Apocalypse, which emphasizes divisions of people in spiritual terms. 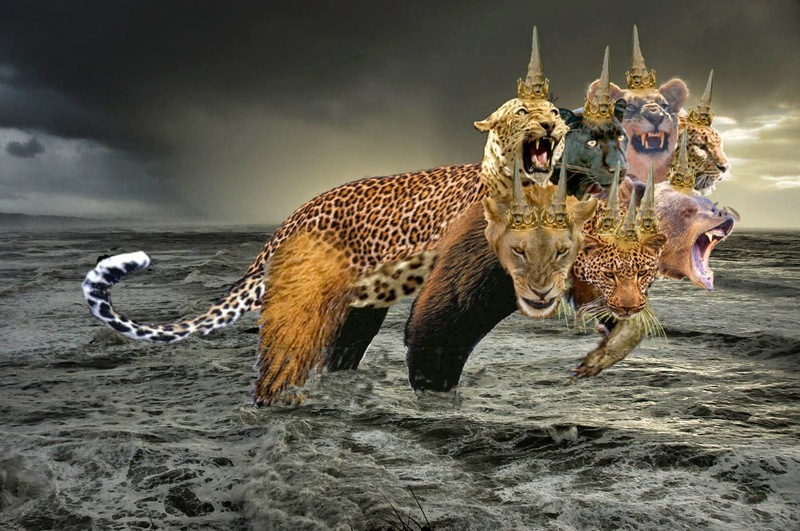 None of this implies that all the beasts are evil or that all nations will be revealed as evil, but only that there are different natures according to the Word of God. So while the Gospel has spread around the world, so has the doctrines of Satan, that many will take the image of the Beast rather than the image of God through Christ. I substituted “kind,” a translation of the word miyn, with “sort.” The reason is because miyn, although it can mean species, more accurately means any “sort” of thing that can be portioned out. For example, there are “instruments of every sort [miyn] of service” that are mentioned in 1 Chronicles 28:14. They are portioned out to musicians. The difference is that sorts need not merely allude to biological differences, but can also mean sorts of souls emerging from the earth or mankind. Unlike the swarmers of the water of the Word who began spreading the Gospel in the prior day, this assortment of creatures may represent earthly natures, including secular and even diabolical ones, after their own likeness. Often when Bible readers see the word “kind,” they immediately think of the physical species, but creatures being brought after their sort may imply something else, such as their sort of spirit or nature. 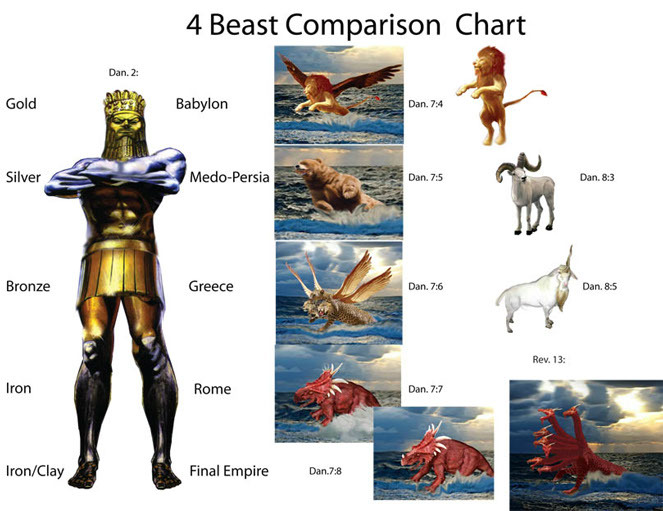 So to understand how the works of the sixth day correlate to earthly history from c. 1029 A.D. to present day, as a biblical highlight of the sixth millennium, we must understand (1) what the animals symbolize and (2) the biblical theme projected to be most important for the period of time which precedes the Great Sabbath of the Messiah. Creatures like cattle and sheep imply followers, be they of good or evil nature. Because of this, they, along with other creatures, are common to apocalyptic literature- a division of spiritual sorts of nations and groups are revealed. Herd animals are not always biblically symbolic of righteousness, however. When the Hebrews rebelled against God in the wilderness, they created a golden calf and worshiped it as their deity- as the one who led them out of Egypt. In essence, herd animals represent religious followers who can be carnal natured or righteous. Typically, they are the sacrificial animals which are devoured by beastly nations and empires (cf. Dan. 7:3, 23). As there are all sorts of beasts, there are many religious people, and some are like devouring beasts, as seen of Islam. Consider how Revelation describes the “False Prophet” appearing as a ram with two horns of power (Sunni and Shia), but the religion speaks like a dragon of death- Satan. Alexander’s empire was likened to a goat with one prominent horn of power, and the Medes-Persian Empire was likened to a ram with two, but neither were righteous animals. Their symbolism simply implied that they would be accepted as sacrifices unto God when the appointed time came to destroy their powers. All symbolism must be taken in context. Like some beasts, “creeping things” also refers to Satan’s people (see Jude 4), in a spiritual sense. Creeping creatures may not have great power like great beasts, but in their own small ways they corrupt the truths of God. It may be a bit confusing to those who are wondering how it can be reconciled that God called the creation of all these creeping creatures “good” in the sixth day of Genesis, yet in the latter books of the Law they are “abominations” that defile the righteous or, literally, “shall be an abomination.” How is it that Messiah said that there is nothing that a man can eat that defiles him, but what comes out in his words, from his heart? The answer to both of these inquiries is really very simple when we look closely at the passage: “You shall not make your souls impure with any creeping things that creep.” Rather than the flesh becoming defiled, God alluded to something deeper- souls being defiled. Certain creatures were made abominable under the Law because they represented pagan peoples. What I seek to make plain in this theory is that all creatures have physical characteristics synonymous with spiritual truths as they relate to people. Under the Old Covenant, the Hebrew people were forbidden to marry people from the pagan nations- not because Hebrews were in any way physically purer or superior, but rather because Hebrew souls were not to be contaminated with abominable acts and evils that were practiced in other nations. The creeping creatures, representing many peoples of the world without the truths of God, were not to be eaten, which symbolized that Jews were not to take pagan practices into their hearts. However, Israel was promised a Brit Chadasha (i.e., a new covenant) of peace that would be shared with Gentiles, to cleanse them by the Word and the blood of Christ. Their spirits would be changed from the evils of pagan cultures. So when peoples, whom the Torah symbolized with beasts, are changed for God, the foreshadowing symbols of abominable animals and creeping things are also justified for eating. If Gentiles, at least Christians of the nations, are cleansed by God to share in the “commonwealth of Israel,” creatures that were made to depict their prior paganism are no longer forbidden. Practicing Jews who do not accept the New Covenant should keep their dietary laws, but Jews who are of the Brit Chadasha are free to choose. They can look back at the witnessing truths of God’s works or they can eat without offending God. In short, just as Israelites were cleansed by a sprinkling of the blood, the four corners of the world are sprinkled with the blood of Christ, fulfilling the sacrificial antitypes. Thus, the Law of God in His works through Christ reconciles the creation. Kefa was a devout Jew, so God telling Him to eat of these spiritually appearing, forbidden creatures was very troubling. Later he would discern that those creatures also came from God, and they represented the four corners of the world that were being cleansed through Christ. It did not mean that Peter could literally eat Gentiles, but he could dine with them and take in the things of the Holy Spirit from them. These three times explain the thing that God would do for the last three last millenniums of the heavenly week, after which all people will be assembled before God on the Eighth Day Assembly (Shemini Atzereth) for the Great White Throne Judgment. All creatures created by God have their purposes and are, therefore, good, and nothing physical that we eat can defile our souls, except they still represent spiritual evils. If believing Gentiles are cleansed by God, then creatures that represented them and their nations are also cleansed. Shrimp are good for food and so are pigs, depending on one’s taste, and neither defiles the one who eats thereof. If a pig represents sexual perversity, of course it would be a transgression to consume of it, but if it later represents people cleansed of that sin- a witness to God’s grace- it becomes kodesh and honorable to eat. This is why animals were considered clean and unclean, not because any flesh created by God is abominable of its own, or able to defile the soul when eaten. Thus, the spirit of Satan, knowing that these things were not fully comprehended by many early Christians, compelled them to keep Jewish dietary laws, which- in doing so for their own righteousness- would be denying the cleansing of all God’s creatures who receive His Word and righteousness. So, we who now know better should not call what God has cleansed “unclean.” While it is wise to balance our diets for health reasons, we are not spiritually defiled by any creature unless we do not comprehend this and eat with guilty consciences. If someone cannot receive these true sayings, and guilt remains, then let them not eat and keep a clean conscience before God. The final work of God during the sixth day correlates to those who are conformed to the image of Christ for His coming: And God said, “Let us make mankind in our image, according to our likeness. And let them reign over fish of the sea and over birds of the heavens, and over the cattle and over all the earth, and over all the creepers creeping on the earth.” And God created the man in His image; in the image of God He created him; male and female He created them. And God blessed them and God said to them, “Be fruitful and multiply, and replenish the earth, and subdue it. And rule over the fish of the sea, and over birds of the heavens, and over all beasts creeping on the earth.” And God said, “Look, I have given to you every herb sprouting seed which is on the turning surface of all the earth, and every tree that is in it- the fruit of the tree sprouting seed. To you shall it be for food; and to every beast of the earth, and to every bird of the heavens, and to every creeper on the earth, which in it is a living soul, every green herb is for food.” And it was so. And God saw everything He had made; and, behold, it was very good. And evening was, and morning was: Day Six. Those who are conformed to God’s image through Christ will be empowered to rule over the nations of Earth- all creatures. The dominion Adam and Eve were given over all the creatures foreshadows the greater dominion of the people of God over the rest of the world. The Kingdom will come on earth as it is in spiritual Heaven during our own age- something the apostles awaited, knowing it would come at the end of the Divine workweek. And this is the dominion we yet await. With all these spiritual synonyms and foreshadowings understood, it becomes apparent that those who are conformed to the image of Christ in God will help conquer or subdue all evil people/creatures of the world, which is only complete with the coming of the Messiah at the close of the six millennial day (cf. Rom. 8:29; 1 Cor. 11:7; 15:49; 2 Cor. 4:4). As Adam and Eve were created in God’s image in the plain summary of creation, the Messiah King and His Jerusalem Bride- taken from His sleeping sacrifice- will have dominion over the nations of the world, good and evil (cf. Dan. 4:34; 7:27). They will have dominion over spiritual things and judge the nations. At the end of the sixth millennial day from Adam, the Kingdom of Heaven will be brought to fruition with the Messiah at the doorway of the Great Sabbath, and it will be filled with those who teach righteousness, law and grace- the good fruits of God. Even the beastly nations will be tamed, and perhaps for the first time the world will learn peace and live adherent of truths in the Light of Life. Those who reign over the nations, under the Messiah, are those in our present day who are not conformed to worldliness (see. Rom. 12:2), but rather transformed to His image by renewing of their minds for a return to innocence before God. All the creatures will eat the good fruits of righteousness and wisdom. In conclusion, the sixth day of creation correlates with the highlight of the sixth millennial day. Nations and empires are regularly described as great beasts and creeping creatures in apocalyptic literature, and from Daniel to Revelation this truth is self-evident. In the Apocalypse, peoples of the world are divided between those who will take the image of the Beast and those who are conformed to the image of Christ in God. And, of course, the Apocalypse will be the main event of this sixth millennial day. Devouring beasts of nations are brought forth first, but then all who are created in the image of the Lord will have a great dominion in which Adam and Eve only foreshadowed in their Sabbath garden. Just as Nebuchadnezzar, the king of Babylon, was turned back from the heart of a beats to that of a man, when pride over his empire was broken, God will turn back hearts at the end of this day to the heart of the biblical fathers. For those who wonder why I put the period (.) after “heavens” in the above passage; this is where it belongs, as is evident in earlier Hebrew Texts. Those who moved it, asserting a comma, did so because the word toledoth (i.e., genealogical births or generations) does not fit within six literal days. Clearly God was revealing something greater than mortal days in the age leading to Adam and Eve’s life in the garden paradise. In other words, theologians did not comprehend or simply ignored the longer duration of the creation days, and they altered the way the Scriptures are read to support their beliefs. Obviously, I believe that the NKJV is a very good translation of Scriptures, seeing that I use it, but one such little liberty taken can alter Bible-believers comprehension of Scriptures and, thus, their worldviews. Furthermore, when the six days of creation are considered our literal days, rather than the millennial days of God, they are less likely to be appreciated for their great prophetic value- our six millenniums from Adam that mirror them. God creates a new Heaven (home for His luminaries) and world through the generations of six millennial days. Again, this interpretation of Genesis as prophetic history is not my own, unique idea; Jewish scholars from ancient times have speculated about Genesis prophetically revealing the historical works that God would do through the ages of humanity. If one looks deep enough, they will likely find that others have had similar theories. It is not that I learned from them, or they from me, but only that the Lord is teaching the same things to refine comprehension for those who are willing to hear and open their hearts to His language of symbolism- one richer than letters of literalism. God paints His prophetic big picture in historical our reality, in living parables, where the Spirit teaches His students to comprehend them. If anything, this work merely draws these things out where they can be plainly known. Volumes of books can easily be written on this theory alone, with more biblical references to support it, but sufficient is what is given in this theory for another piece- precisely and properly placed- in the panoramic picture. Although my writings are not perfect in explaining this, the timely framework and highlights in it are perfectly from God. With so many my articles comparing our seventh millennium from Adam to God’s rest on the Sabbath, I do not think it is necessary to further emphasize it here. The seventh day after God’s works very simply foreshadows the Great Sabbath when the Messiah King takes His dominion, restoring the world to righteousness before God. In these articles I make the case that God explained a restoration of recent proto-history, and I applied a few trusty conclusions of scientific research to make my correlations. Those six thousand years of the New Genesis Theory led us to six thousand more years, as explained here in the Prophetic Genesis Theory. The latter theory began with Adam and Eve, where I assembled the highlights of biblical history for the first four millenniums and the beginning of the fifth in the Church Age. I then postulated that the overarching theme of the sixth millennial day from Adam is apocalyptic, imbued with beastly imagery. Finally, the awaited Great Sabbath was foreshadowed in the Sabbath that Adam and Eve were expelled from, leaving it to be fulfilled. Both Genesis theories are written very plainly, and together they simply consist of 12,000 years until the Great Sabbath. Thus, I made a brief but adequate case from Scriptures for this age and its end boundary, c. 2029 A.D. +/- 4, which readers are encouraged to explore elsewhere for further validation. With these mirroring theories now made plain, we can venture into greater mysteries and perceive how Genesis ripples out to confess billions of years of Divine creations. Had the creation account in Genesis been but a scribal shenanigan shoveling another chartaceous Shangri-La, one fictitiously written on the wondering whims of some scribal charlatan, the tribal shavie long laid on the wising wide world would have long-exhausted its farce of explanatory power, long before these modern explications (and extrications)- with two more line-upon-line theories- could factitiously confirm that the passages provide a sequential similitude, which parallels its pictorial record to our historical times. If this biblical ballast of our past human history was sincerely born of the brilliant mind of God, who intricately interwove His words in timely patterns as perceived via this prophetic paradigm, showcasing His mental magnificence, it should indeed be perceived that the world of waxing biblical doubt is being surrealistically served back the scolding bowls of their own cocky crows- this being reckoned as beckoned by their blatant blasphemies and following the failures of their flagellant follies. Bible-believers are not, and never have been, naively deceived to believe mere simpleton things via our unruly faiths lacking reasoning for an irreconcilable and religion-made quandary of relevant facts, too waning in explanatory power to last. Rather, we believers are bold in knowing that our biblical record will continue to unfold until manifold concessions of an awaited entente are echoed back at their cockalorums’ destined impasse. In upcoming articles, this work will reveal how Genesis ripples out from the two aforementioned theories to correlate with corporeal discovers of an ancient Earth. So continue with me in these writings, and all things will be made perfectly plain, unlike the literary fun and liberty that I took to mock in the previous paragraph. And as more and more biblical themes become simple and clear, perhaps faith will be restored to many hearts in the secular world-straying hearts that have been wrongly hardened against God’s wonderful Word and works of wisdom. And yet we shall defeat them- those who surrender God’s words and maliciously mock the meek who keep them. Although they surround us and spread doubts within and without about us, we will win in the end by teaching the truths of the Word of the Just to a world of appeasing men.